If you read this recent post of mine, you know that I’ve had a hell of a time with my skin since I moved from Ohio. I didn’t change anything about my diet or workouts, so I guess my crazy breakouts last winter must have been environmental or stress-related? I’ve tried so many products to try to get my breakouts in check, and hardly any of them even made a dent in the issue, which was pimples and clogged pores all over my cheeks and chin. 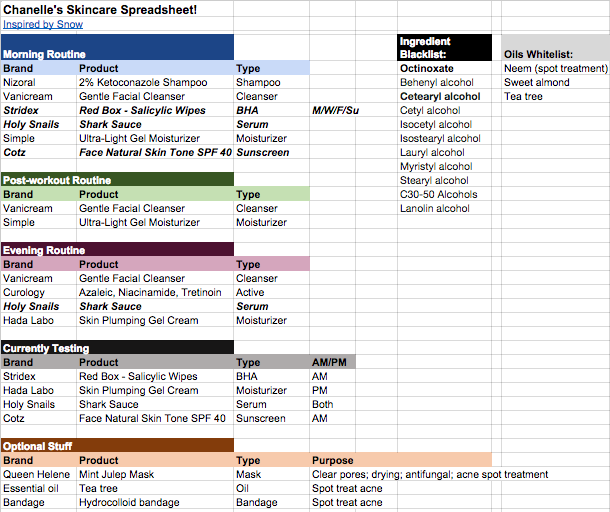 As much “fun” as it is to spend a ton of money on skincare products and put together a skincare routine (see above pic), I AM LAZY. I have learned and accepted that I don’t want to spend more time taking care of my skin than is absolutely necessary. When it’s 10 p.m. and I’m ready for bed, I simply don’t feel like spending half an hour patting serums into my skin and waiting for them to dry before moving on to the next step. I haven’t just been futzing around the skincare aisle at the drugstore though. I actually did try to call in the big guns, aka a dermatologist. Once I heard about online dermatology, I signed up right away. The first company I tried, though, formulates its own prescriptions and uses a lotion-y base that turned out to contain ingredients that my skin hates. I tried it for a few months and sadly, it made my skin worse. Very, very frustrating. Happily, there are other options out there, and the one I decided to try a couple of months ago is called YoDerm. YoDerm is also an online dermatologist, but the doctors prescribe commonly-used medications that you pick up at your pharmacy. I signed up for YoDerm based on my own research and paid for my initial consultation myself. I received a free follow-up consultation to facilitate this review. Thanks YoDerm! The initial consultation takes less than 10 minutes to complete (and yep, you can stay in your pajamas) and includes completing a questionnaire about your skincare concerns and uploading pictures of your face. My doctor got back to me the following day with a skincare plan that included a prescription medication (Differin) and an over-the-counter facewash (Neutrogena Oil-Free Acne Wash). My new plan was a far cry from the overly complicated routine I was sticking to before – hallelujah! 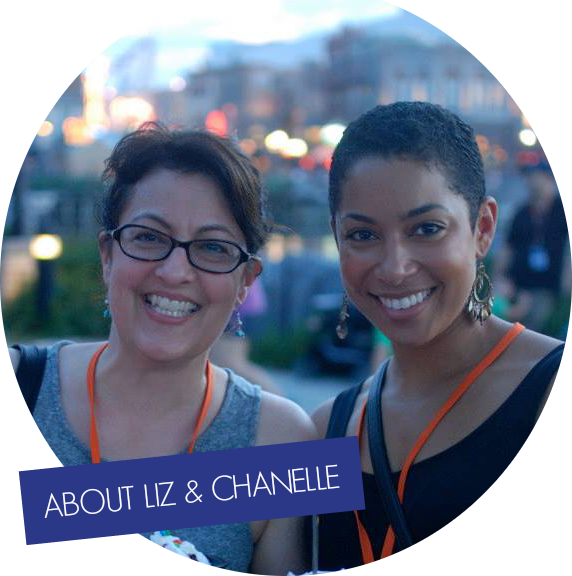 Here are the three photos I sent in with my initial consultation – the before, if you will. My skin has some dark spots from old pimples, redness around my nose and mouth, and bumpiness on my cheeks. And below are the photos I sent in with my follow-up consultation. I still get dark spots from old pimples, but the redness around my nose and mouth is gone, my skin is more balanced (less oily), and the bumpiness on my cheeks is gone. I’m extremely pleased with my progress so far and I’m glad all I have to use is facewash, moisturizer, and a prescription treatment once a day! 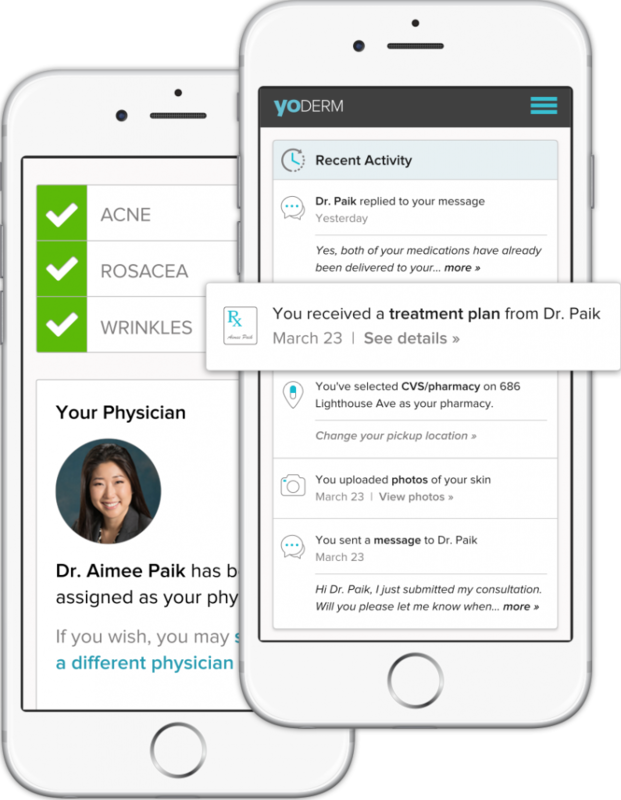 If you would like to try YoDerm for yourself, you can use my affiliate link to get $10 off your first consultation!